Epic Resins is a custom formulator of epoxy resin and polyurethane compounds for original equipment manufacturers (OEMs), operating since 1958. 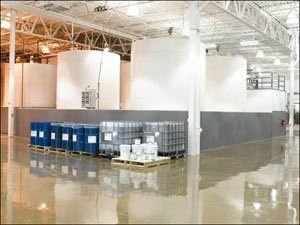 Epic Resins is unique in the epoxy industry, offering the most competitive prices on potting compounds and CUSTOM epoxy resin manufacturing and formulation services. We'll perfectly match YOUR product outcome needs. Our customer representatives have chemistry backgrounds, have worked in OEM manufacturing settings, and listen to you to understand your production process. We do much more than walk you through our catalog of epoxy potting compounds. We work with you to understand your production needs and how we can custom manufacture the perfect epoxy or polyurethane resin for your product needs. Epic Resins' electrical potting compounds are based on one and two-component epoxy resin and two-component polyurethane resin chemistries. They are solvent-free liquids, 100 percent solids formulated from epoxy resin and polyurethane resin compounds. Our potting compounds are designed to efficiently fixture and encapsulate electronic components while protecting them from adverse environmental, mechanical, thermal and electrical stresses. 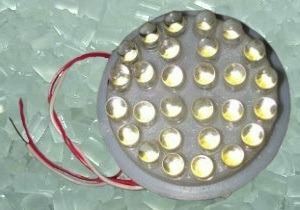 They also provide excellent electrical insulation to extend product life cycles and enhance the performance of potted electrical and electronic devices. Epic Resins epoxy potting compounds are available in a wide variety of viscosities, mix ratios, electrical and physical properties. 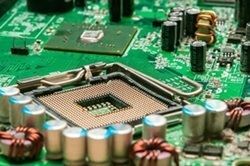 Just like our polyurethane encapsulating compounds, custom epoxy formulation is always available to meet your specific electronic potting needs. Our epoxy and polyurethane compounds can also be removed in case electrical repair or modification is needed. When you want your products performing at their best, Epic Resins has the perfect solution to ensure your needs will be met. We manufacture a full line of epoxy resin systems perfect for your high voltage or temperature applications. If we currently don’t have an epoxy meeting your performance requirements, our custom resin formulators will create one. Learn more about our custom epoxy resin development process. We formulate our resin compounds to resist chemicals, vibration, and weather. You can choose just abut every aspect of the compound to specifically meet your needs. For more information about epoxy resin and polyurethane potting, visit our microelectronics page. Learn more about our LED applications or read our LED brochure—visit our LED encapsulants page. Get info on radio frequency applications—visit our radio frequency potting and encapsulating page. Filament winding creates shell of materials with a high strength-to-weight ratio which is perfect for pressurized tanks and cylinders. A good bonding epoxy resin is essential to the filament winding process. 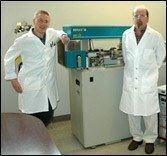 The chemists at Epic Resins will help you save money and increase efficiency in your current procedure(s) or help you develop a new process. We'll recommend the proper filament winding epoxy for your application. Whether you’re bonding foams, wood, metal, vinyl, or any other material, Epic Resins will work with you to ensure we find the perfect adhesive for your bond. From panel bonding, chemical resistant polyurethanes for pool and spa filters, or high-quality epoxy resin adhesives for heavy duty liquid filtration applications, to epoxy resin sealing compounds for demanding submersible pump applications and solar panel encapsulation, Epic has the resin solution you need. Contact the best epoxy and polyurethane adhesive formulators in the business today for more information on how we can help your company succeed. Due to its bonding strength, when most people think of strong adhesives, they think of epoxies. Our experienced chemists work hard to create the most effective polymer mixtures and cross-linking for each client's specific application. From pool filters to paint brushes and practically everything in between, Epic Resins has the experience and technology to craft reliable custom one or two component epoxy adhesives. Whatever your epoxy adhesive needs are, we'll help you with a solution. Because of its adaptability, polyurethane adhesives are an often favored form of polymer adhesive. It can be used where other adhesives cannot because it requires moisture to set. The chemists at Epic Resins produce a range of different polyurethane adhesives with a variety of characteristics. Because it can adhere to porous and nonporous surfaces, the demand for polyurethane adhesives is always there; Epic Resins creates custom polyurethane to meet the needs of a wide array of customers. To see examples and to learn more about our general purpose adhesives, visit our general purpose adhesives page. Epic Resins specializes in creating epoxy resin and polyurethane adhesives for air, water and separation filters, as well as submersible pumps. We’ll work with you to create the exact adhesive you need for efficient, durable, and chemically resistant filters and pump systems. Epic Resins will help you find the perfect adhesive or potting compound for your submersible pump. Whatever type of resin your submersible application requires, we’ve got you covered. To see some of the custom products we’ve created for the filtration industry, visit our separation filters page. For pool and spa industry applications, our chemically-resistant potting and casting compounds are designed for maximum efficiency and durability. Our products are completely customizable from color to hardness. To read more about our extensive variety of solutions for pool and spa applications, visit our pool and spa filters page. 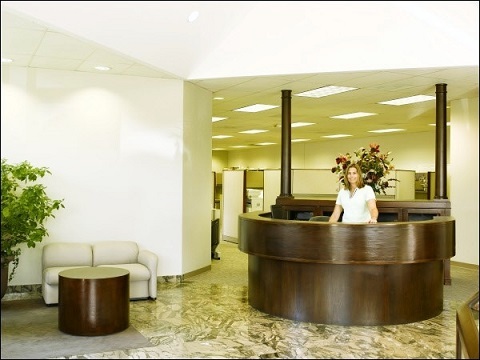 Epic Resins is your one-stop shop for air filtration solutions. HEPA filters are designed to remove at least 99.97% of airborne particles as small as 0.3 micrometers in diameter. Our custom-designed polyurethane adhesives and potting compounds for high-end HEPA filters are unmatched in strength, efficiency, and durability to give you peace-of-mind. For more information about our HEPA filtration solutions, visit our HEPA filters page. Epic Resins creates air filtration solutions for automobiles, industrial settings, and homes. Whatever application you need or variable stands in your way, we’ll deliver premium results. We create products resisting vibration, temperature, chemicals, heat, shock, and so much more. Learn more about our filter adhesives on our air filters page. Learn more about the impact of our specially designed paint brush and paint roller adhesives on our paint brush adhesives page. Our table top resin poured edges are a compliment to any table or surface. They are flush with a table’s characteristics and can easily be changed in color by the consumer. The durability of resin table edges protects tables from damage in high-use environments like schools, laboratories, retail stores and more. Contact our epoxy specialists and find out how Epic Resins can formulate winning results for your business today. Our resin formulators are capable of creating a variety of versatile compounds with flame retardant properties. These epoxy and polyurethane encapsulants, potting compounds and adhesives provide protection from heat and combustion. Find out how many compounds Epic Resins formulated when you visit our UL recognized flame retardant resins page. At Epic Resins you will ALWAYS speak to a person if calling between 8 am and 5 pm CST - WE WANT TO TALK TO YOU! There is no voice mail or answering machines to work through. 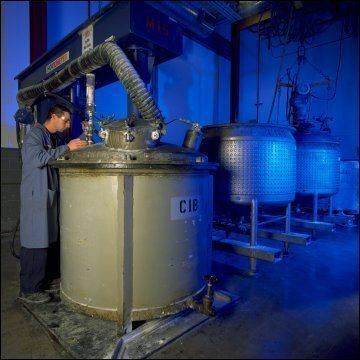 Our staff understands the ways in which we can modify or create epoxy resins, polyurethane compounds, and electronics potting compounds to perfectly fit the needs of your specific manufacturing application because we understand the chemistry. No other custom epoxy formulator is able to offer prices as low as Epic Resins for the custom manufacturing of potting epoxies. No other epoxy resin manufacturer offering potting compounds in our price range is able to offer our level of custom epoxy formulation capabilities. Epic Resins is simply the best choice for electronics potting compounds, polyurethane compounds, solar panel encapsulation compounds, moisture cure adhesives, junction box potting compounds, sandwich panel adhesives, and all epoxy resins. Call Epic Resins, the best custom epoxy formulators, today at 1-800-242-6649 to find out more about getting the best price on the perfect electronic potting compound, epoxy resin for electronics, solar panel encapsulation or polyurethane resins for your specific manufacturing application. You will speak to someone TODAY between the hours of 8 am and 5 pm CST! OR use our simple QUOTE REQUEST FORM to send us a message about your application and the solution you're looking for, we WILL contact you within the next business day, or at your convenience, if a time is specified, to discuss solutions and how Epic Resins will exceed your expectations! We use reaction injection molding (RIM) to create a vast variety of products for original equipment manufacturers (OEMs). Learn more about our RIM process and materials on our composite-RIM page. Quality polyurethane potting compound products, unmatched epoxy formulation customer service, and competitive pricing have always been the key elements of our philosophy and the reasons for Epic Resins’ continued growth. We believe these elements are vital in maintaining the excellent relationships we've established with our epoxy resin formulation customers. As a custom epoxy formulator, we are constantly developing new potting compound products and applications, improving existing resins, improving our manufacturing processes and reducing costs, thereby helping our customers to do the same. Contact our epoxy potting compound manufacturers today for high-quality custom epoxy resin formulations for your unique needs. Get the Epic S7478 brochure pdf for download/print.